We have been awarded the Most Trusted Pet Foods award three years in a row because we are committed to providing excellence in the pet food industry,” explains Will Post, founder and CEO, Hound & Gatos Pet Foods Corporation. Pet foods abound, with numerous companies lining their shelves with options for consumers. In 2014, there was over $21 billion spent on pet food sales in the country. Each year, that rate is rising, with people searching for the best foods to feed their pet. With so many pet foods to choose from, most don’t’ seem to stand out without having spent millions on advertising in order to make their company name a household one. Yet one company, Hound & Gatos Pet Foods Corporation, has done just that and has been awarded “Most Trusted Pet Foods” three years in a row, making many wonder what it is that sets them apart and makes them so trusted in a sea of pet food options. Having access to the information consumers need and want is key. At Hound & Gatos they provide people easy access to the information regarding where their ingredients come from, what’s in the food, and why they avoid many products that other companies don’t. They want people to know more about the pet food that they are purchasing, so they can make informed decisions and help keep their pets healthy. Often times, people are convinced as to what type of pet food to purchase simply based off of the nice packaging or the advertising they have seen. Yet this tells them nothing about the quality of the product. The quality always comes down to the ingredients and where they come from. Hound & Gatos only uses the best quality ingredients, which are 100 percent animal protein, always sticking to a very limited ingredient panel. They avoid other common pet food ingredients that people should avoid, including generic livers, carrageenan, chemicals, unidentifiable additives, and preservatives. Hound & Gatos always provides DNA testing results, which prove the origins of the animal protein. This is something that other pet food companies do not engage in. They do this to ensure accurate DNA accuracy. While many pet food companies are simply out to increase sales, Hound & Gatos is committed to helping people have access to high quality options that are healthier for their cats and dogs. 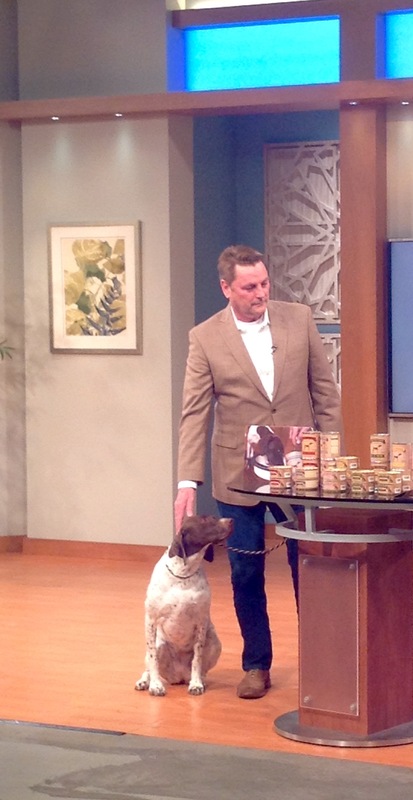 Their line of pet foods is made right in South Dakota. Additionally, the company has won the “Top Approved Pet Foods” three years in a row by Whole Dog Journal. Hound & Gatos Pet Foods are 100 percent meat, with all their ingredients originating from the USA. They also do not ever allow fluoridated water to be used in their products. Along with being the only pet food company willing to allow DNA testing to confirm the source of their ingredients, they also provide proof of not obtaining ingredients from Asia, despite there being shortages of ingredients in the industry. Hound & Gatos Pet Foods strives to help owners obtain the best quality products for their pets, and they deliver with 100 percent animal protein with no fillers backed by an exceptional customer satisfaction guarantee. Visit http://www.HoundGatos.com and discover the difference of premium quality hypoallergenic pet food. The products are distributed in the USA through Pet Food Experts, Animal Supply Co., and Canada's Global Pet Foods. The foods are also available in Canada, at PetOnly.CA. Hound & Gatos Pet Foods is a result of one pet lover’s vision of providing only the best for his beloved pets. Will Post, CEO and founder, began Hound & Gatos with the mission to deliver the nutrition his four pets (two Savannah cats and two bird dogs) needed and deserved to be healthy. Today, Hound & Gatos Pet Foods provides award winning 100 percent animal protein (DNA tested) dog and cat foods with no fillers for pet lovers and their special pets across the United States and Canada. Customers can ask stores to carry the pet foods, which are supplied through distributors. For more information, visit http://www.HoundGatos.com.